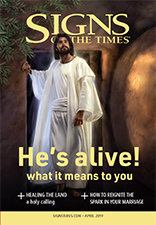 Signs of the Times® is an uplifting monthly magazine that encourages readers to lead joyful Christian lives as they await the soon return of Jesus. Each issue contains articles on health, family living, and Bible topics. Click www.signsworldevangelism.com to make a donation to Signs World Evangelism. 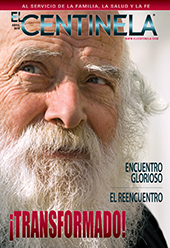 El Centinela® is a monthly magazine especially written and designed for the Spanish-speaking reader. It contains articles on current issues and has a special emphasis on the Second Coming of Christ and the prophecies and “signals” that indicate the closeness of this event. Our Little Friend® and Primary Treasure® are weekly magazines for children. Each issue contains character-building stories and games.